Navigating a ship is not an easy task. The officer in charge needs to understand several important factors that are involved in navigating a ship such as navigating tools used on shipsand the principle of passage planning. In this article we will understand the operational involvement of thrusters during maneuvering. We would suggest you to read the previous parts of “Mastering Ship’s Navigation” to understand the usage of thrusters in a better manner. 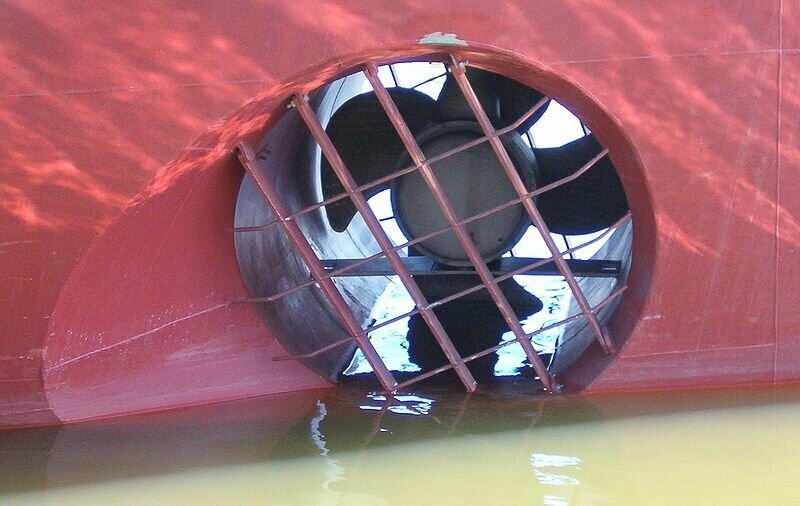 The bow thruster is solely introduced in ships to avoid, or in better words, to minimize the use of expensive tug boats as most of the port state authorities around the world have compulsory requirements to use tug boats for safety purpose. It is extremely important that the navigating officer on bridge understands the significance of assisting machinery such as bow thrusters during the most critical operation performed by ship and its staff – The berthing of the ship. - While using thrusters ensure that the ship’s speed in not more then 4 knots as above this the effect caused by thrusters would reduce. This happens because of the merging of the thruster stream with the general water flow on the side of the ship’s hull due to its forward movement. - When using a single forward thruster, it is important to concentrate more on the astern as the bow can be controlled by the forward thruster. In such situation, always prioritize to berth or bring the astern of the ship alongside first and then control the ship’s bow. - When turning the ship with two thrusters located at fore and astern, the pitch of the thrusters must be opposing each other, creating a turning moment. Massive cargo ships must be assisted by the tugs at the astern part to control the stern movement. 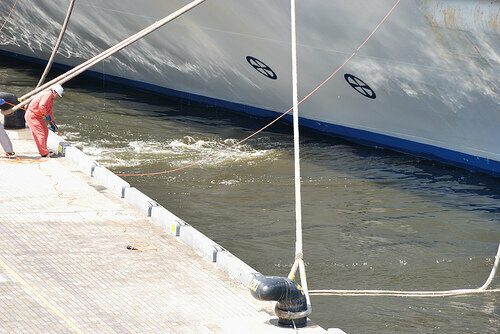 - When using the bow thruster while the ship is at stop, the astern part will act as a pivotal point. If the thruster is put in the port side, the ship will turn in the same direction. - When using the thruster with ship running headway, the thruster’s effect will be slightly less as both the pivotal and thrusting points are now in forward position. - When using bow thruster with ship travelling sternway, the pivotal point will be the ship’s stern, which will turn in the same direction as that of the thruster and act as a rudder. - It is very important to have an efficient steering gear system as the ship turning by use of thruster is highly dependent on how responsive the rudder (steering gear system) is. - Thrusters are used while anchoring the ship. They assist in turning the bow of the ship away from falling anchor to avoid damage by the anchor chains. Ship Navigation is more of an art which is developed through experience rather than knowledge. When you merge both experience and knowledge, you can definitely Master the Ship’s navigation technique.